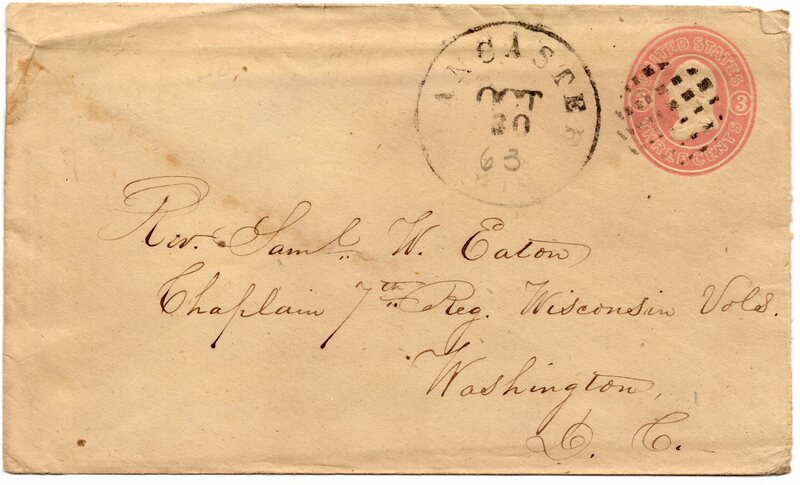 Postal cover addressed to Chaplain Samuel W. Eaton, 7th Regiment, Wisconsin Volunteers. Mailed 30 October 1863 from Lancaster, Wisconsin. The original “1863” of the postmark isn’t visible but the postage rate dates it between July-October 1863 (author’s collection). 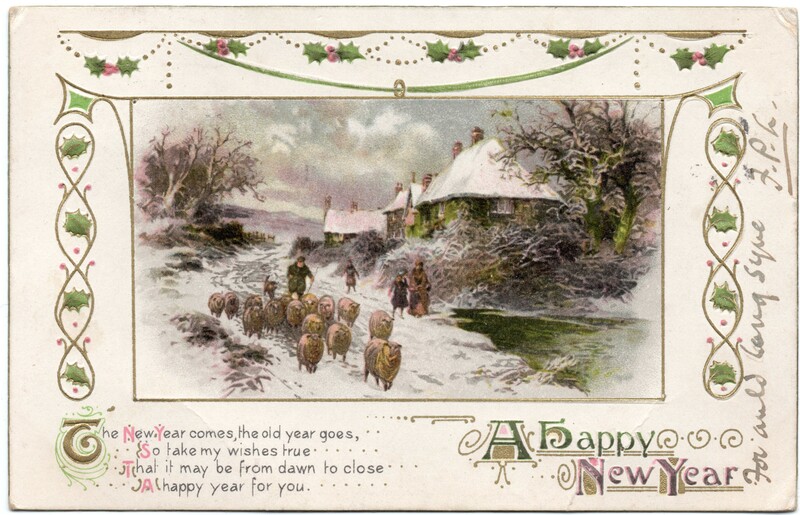 New Year’s postcard mailed to then Chaplain of the Fleet (equivalent to the U.S. Navy Chief of Chaplains) Hugh Wood, dated 1 Jan 1913. 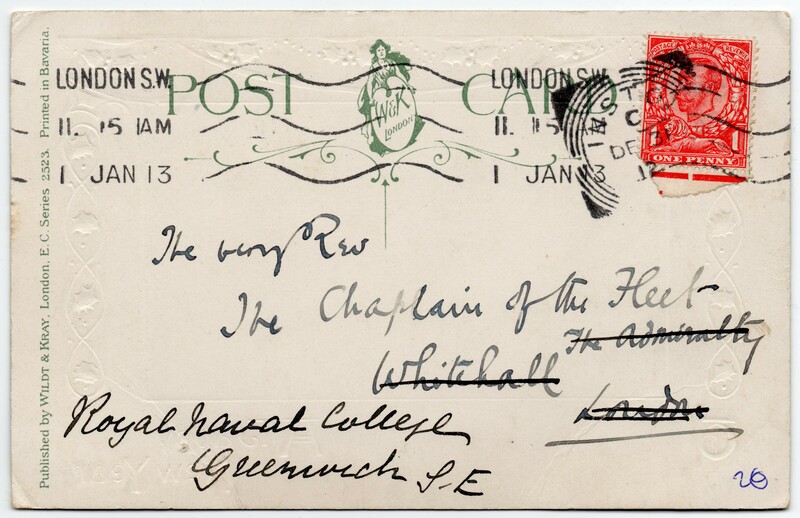 Originally addressed to location of the Navy Admiralty in Whitehall but corrected to location of the Chaplain of the Fleet’s office at the Greenwich Hospital, Royal Naval College, Greenwich (author’s collection). Reverse of New Year’s postcard mailed to then Chaplain of the Fleet, Hugh Wood, dated 1 Jan 1913, showing personal note, “For auld lang syne -FPL” (author’s collection). 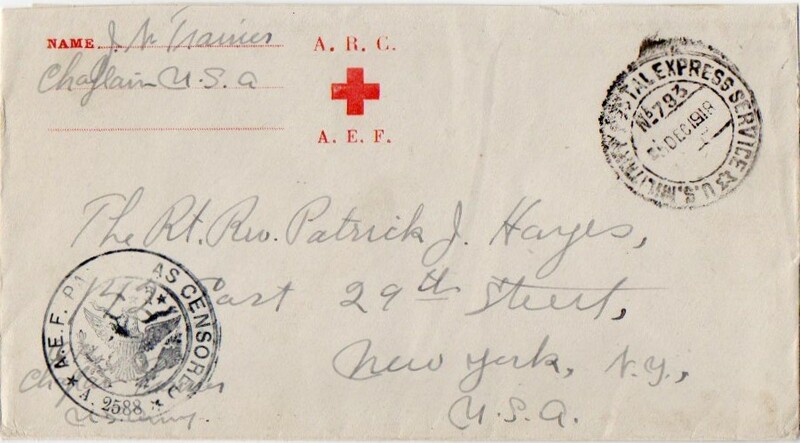 A postal cover sent from a U.S. chaplain in France in December 1918 to then Archbishop of New York, the Right Reverend Patrick J. Hayes (author’s collection). 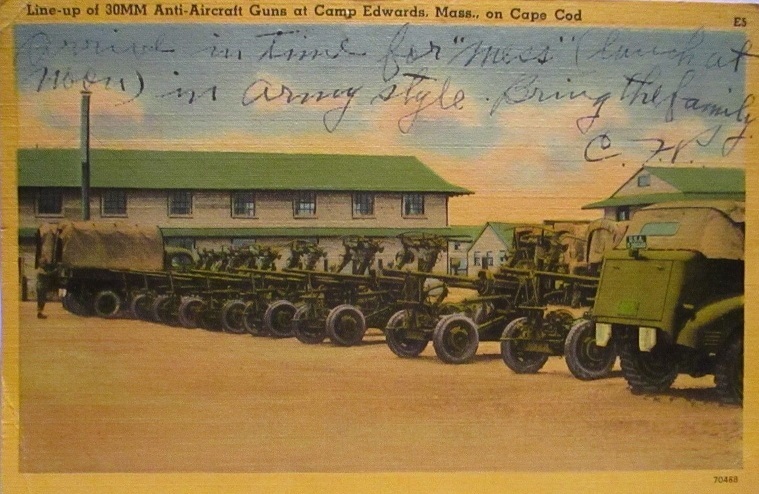 Postcard written by Chaplain (1LT) Charles F. Pegrem from Camp Edwards, to a friend, Rev. Charles Houser, inviting him to visit Camp Edwards and to arrive in time for Mess at the Dining Facility, 1942 (author’s collection). 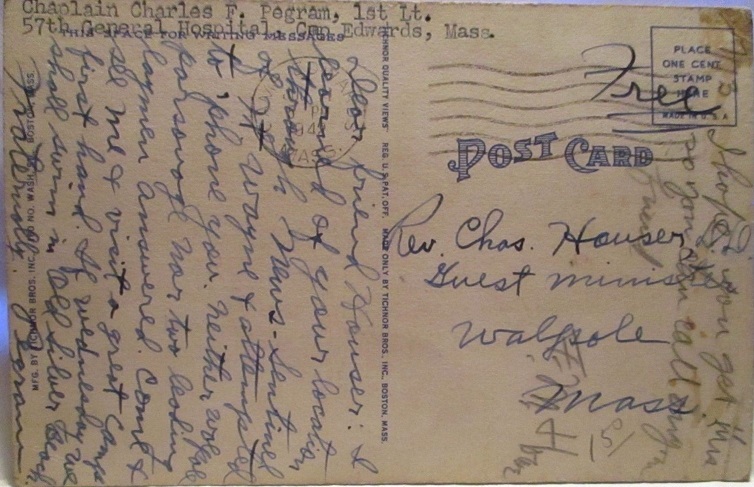 Postcard written by Chaplain (1LT) Charles F. Pegrem from Camp Edwards, to a friend, Rev. Charles Houser, inviting him to visit Camp Edwards, 1942 (author’s collection). 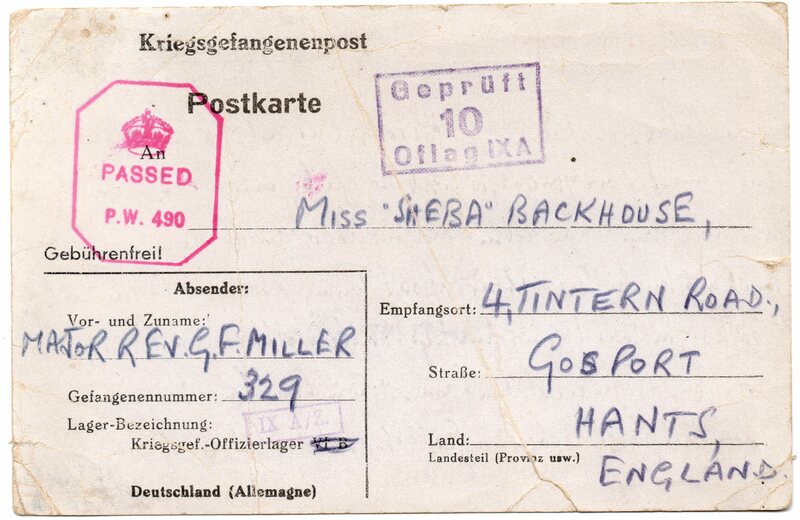 Address side of a postcard sent from a British chaplain in a German POW Camp to a friend in England, dated 7 November 1942 (author’s collection). 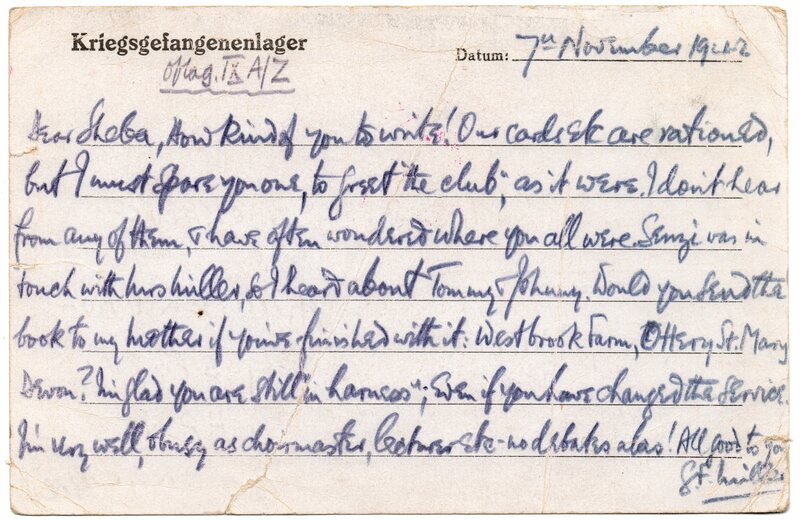 Reverse side of a postcard sent from a British chaplain in a German POW Camp to a friend in England, dated 7 November 1942 (author’s collection). 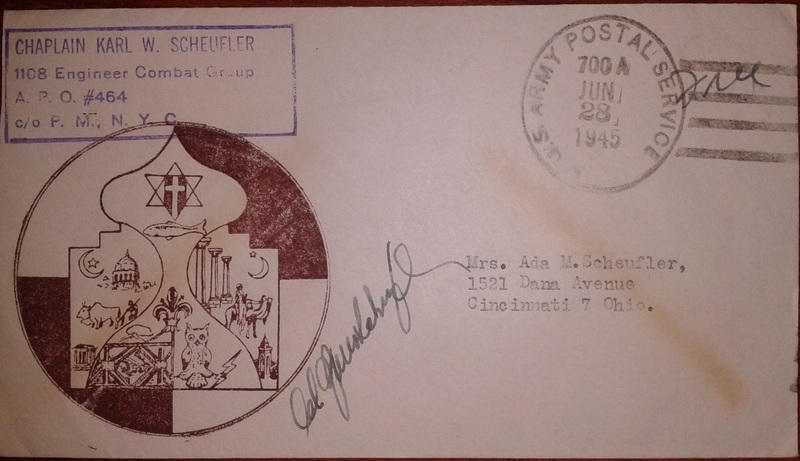 Postal cover drawn by WW2 Army chaplain Karl Scheufler. 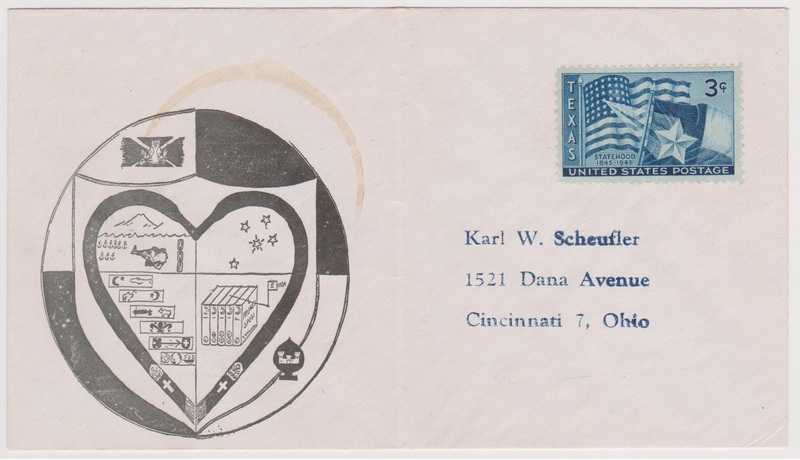 Another interesting postal cover drawn by Chaplain Scheufler. This one looks like a Coat of Arms of sorts, perhaps it details his progression through the war. The 1st of the five books was a famous Italian novel. The image on the top left has elements of the unit insignia for the 355th AAA Bn, for which Chaplain Scheufler was the BN chaplain. The item making the heart is a WW2 chaplain’s stole (courtesy Doug Sandquist). FDC commemorating Abraham Baldwin, founder of University of Georgia, but Baldwin was also a chaplain during the Revolutionary War, 25 January 1985 (author’s collection). 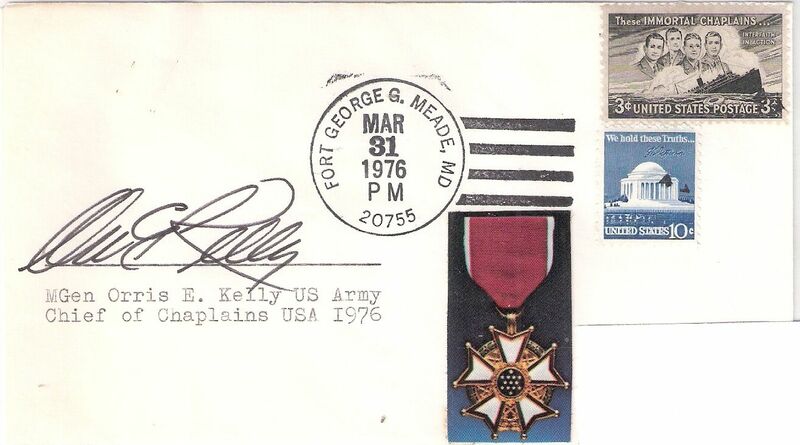 Postal cover postmarked on first day of issue of stamp commemorating Abraham Baldwin, chaplain during the Revolutionary War, 25 January 1985 (author’s collection). 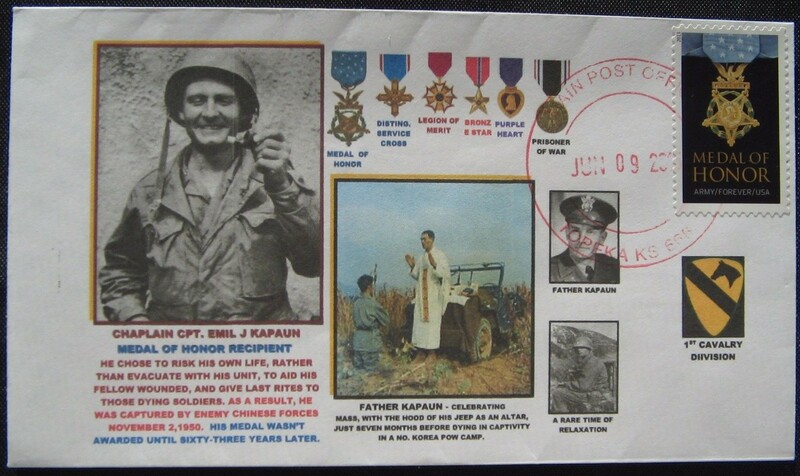 Postal Cover featuring Chaplain Emil Kapaun, dated 9 June 2015 in Topeka, Kansas, 75 years after his ordination which took place not far from there in Wichita, KS (author’s collection). 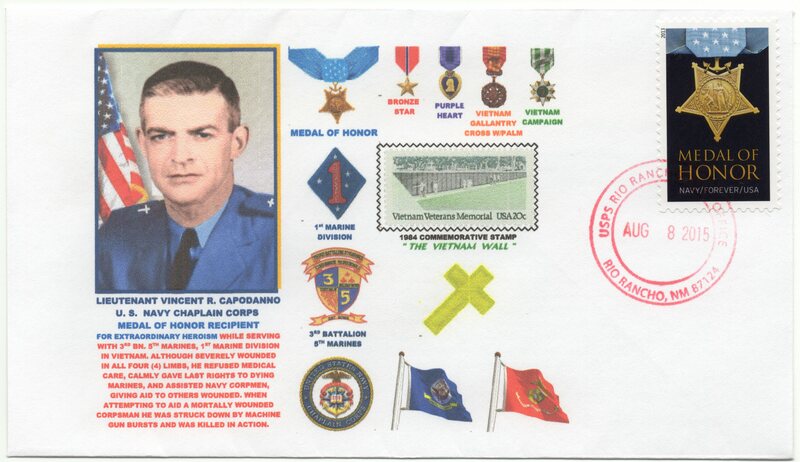 Interesting postal cover highlighting the ministry of Chaplain Vincent Capodanno, U.S. Navy Chaplain and Medal of Honor recipient, postmarked 8 Aug 2015 in Rio Rancho, NM (author’s collection).